Audi allroad was all new for 2013. The Audi allroad comes with one powertrain: the brilliant and venerable 2.0-liter turbocharged engine, mated to a Tiptronic 8-speed automatic transmission with quattro all-wheel drive. For 2014, the engine gets a power hike, from 211 to 220 horsepower. Premium fuel is recommended. We found this engine solid, proven, versatile, and efficiently powerful. Three trim levels are offered: Premium, Premium Plus, and Prestige. For 2014, a convenience package is standard, including the Audi music interface, HomeLink, Bluetooth and a driver information system. Premium Plus and Prestige models get an advanced key as standard. Audi side assist is newly available as a standalone option for the Premium Plus model, while the Prestige model gains rear side window shades. Direct competitors for the Audi allroad are slim, if you don't count crossover utility vehicles (CUVs). The Subaru Outback and Volkswagen Jetta TDI SportWagen are cars that might be cross-shopped, when considering a comfortable and capable all-wheel-drive wagon of this size. Both are priced far below Audi allroad, and with the Subaru you can get a 3.6-liter 6-cylinder engine that makes 36 more horsepower than the allroad. The Cadillac SRX AWD moves beyond the allroad in price, power and size (though its wheelbase is no longer), but it's an alternative that a potential allroad buyer might consider. If you were to pick one CUV to compare, it might be the Ford Edge, with its 2.0-liter EcoBoost engine making 240 horsepower and using a 6-speed automatic transmission. It's about the same wheelbase, weight and fuel mileage. Audi's allroad is most comparable to the Edge Limited edition with panoramic sunroof and all-wheel drive; those items are standard equipment on the allroad. 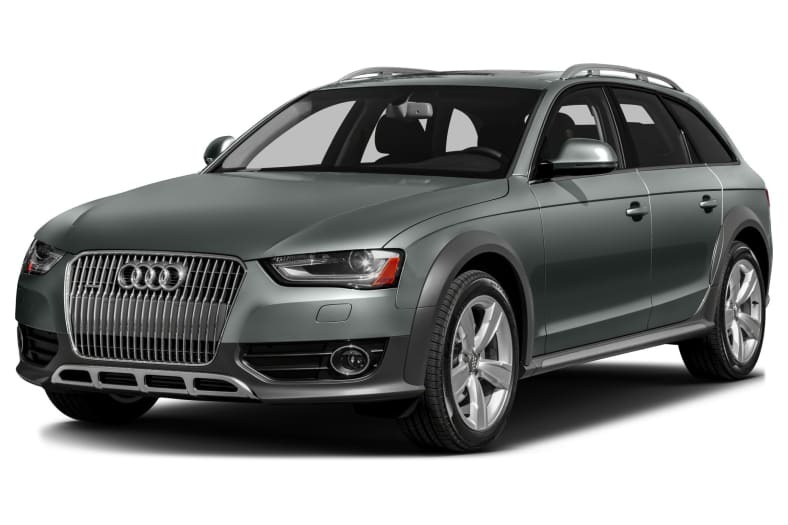 The allroad is built on the same chassis as the A4 sedan. Size differences are insignificant, except for the height, as the allroad is 1.8 inches taller. It's got a slightly wider track because of its larger 18-inch wheels, and 3 more inches of ground clearance (7.1 inches total), which accounts for the height difference. An allroad weighs 300 pounds more, yet manages to accelerate from zero to 60 in a claimed 6.4 seconds, a time that's plenty quick when entering a freeway. The engine is super smooth. In fact, for years it's arguably been the smoothest 2.0-liter four-cylinder in the world. Its 258 pound-feet of torque comes at a low 1500 rpm, so it pulls up to speed sharply. Fuel economy is an EPA-estimated 20/27 mpg City/Highway. It's heavier and less aerodynamic than the A4, with a not-too-slick 0.36 coefficient of drag. Premium gasoline is recommended, not required, but it's a recommendation to follow.